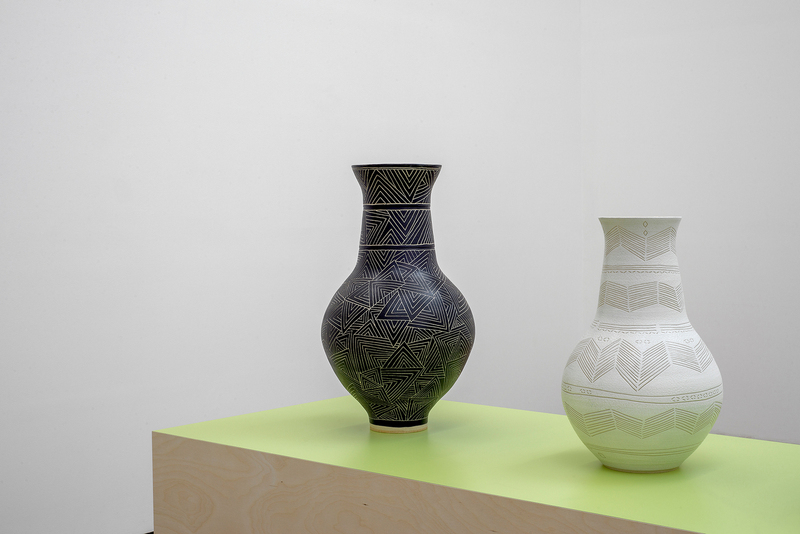 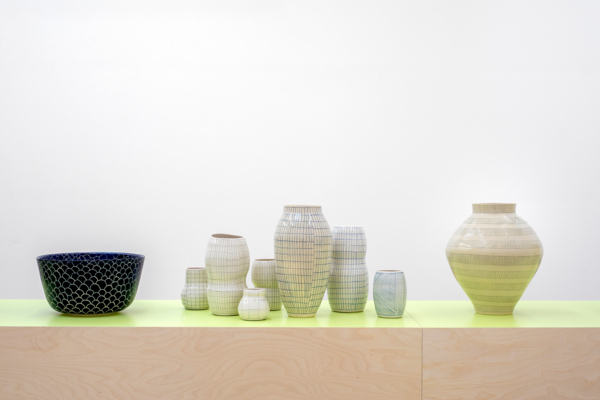 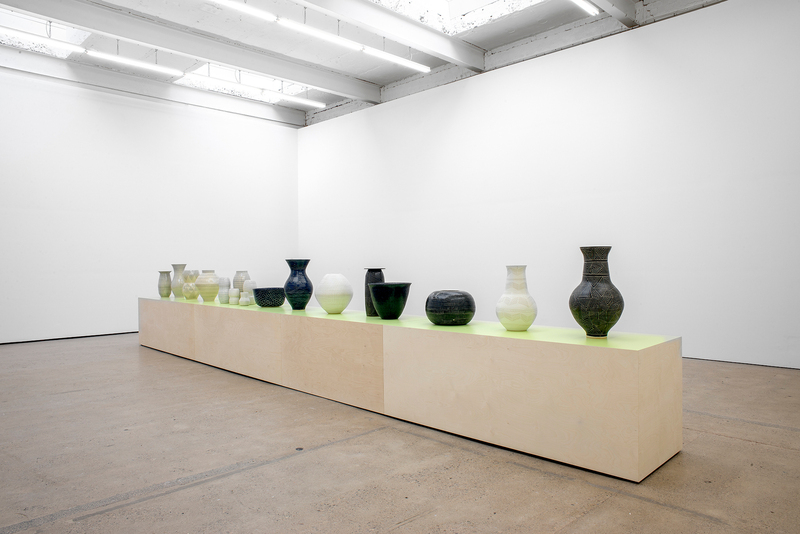 Shio Kusaka’s second solo exhibition at The Modern Institute consists of a new body of ceramic works bearing patterns of grids, squares, lines and carved motifs, as well as assuming a varied combination of shapes and sizes in a colour palette of white, black, bone, and deep and pale blues. Playfully subverting tradition and the boundaries of an ancient craft, Kusaka explores asymmetries in shape or surface, and often times both. 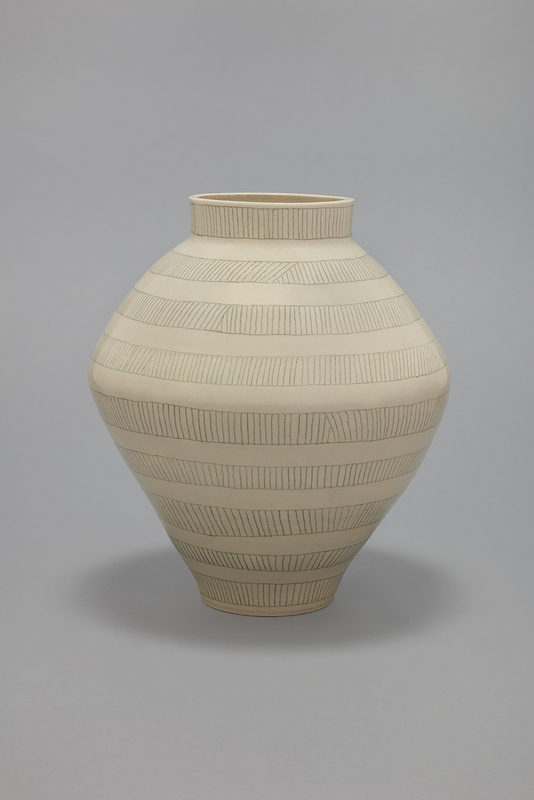 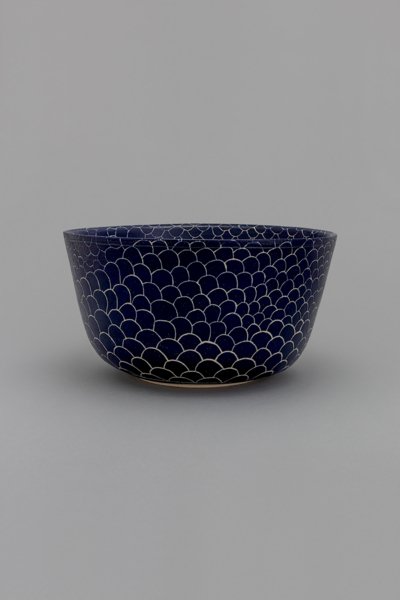 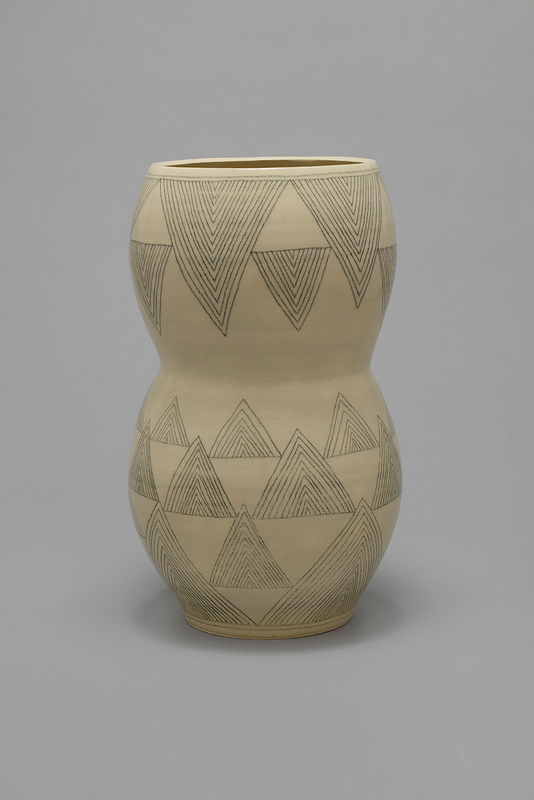 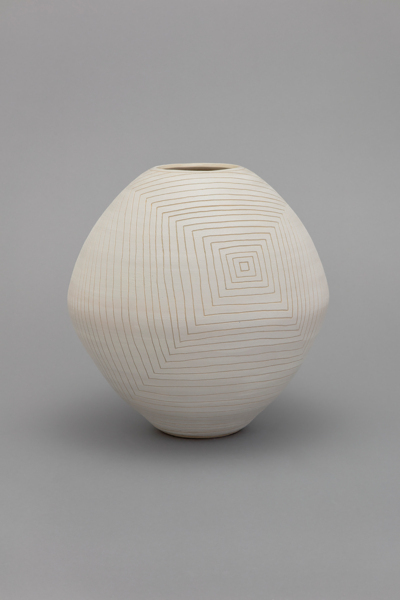 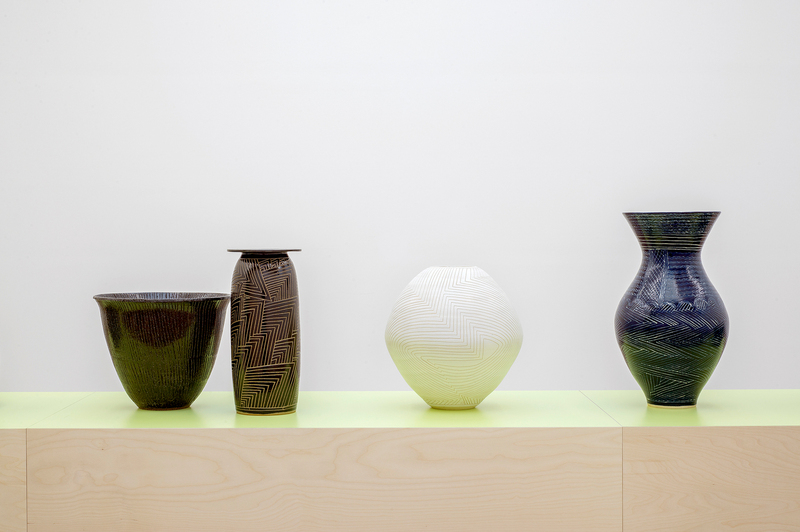 As pronounced in Kusaka’s use of line – both in form and pattern- the traces of irregularity within her practice defy a simple classification of her vessels, rendering no two pots alike. 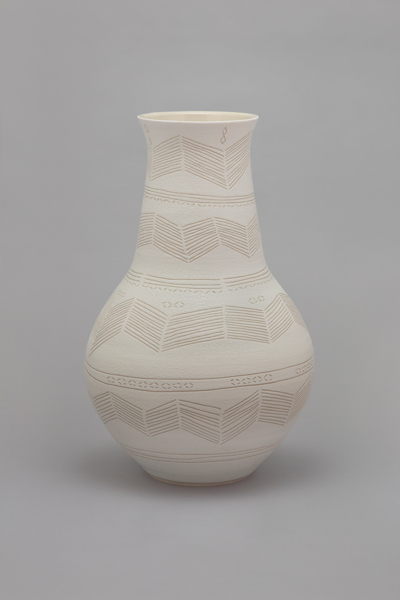 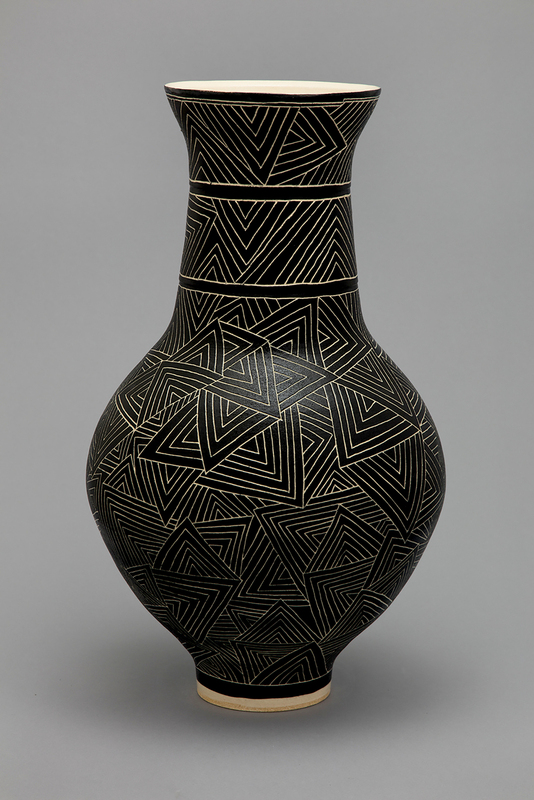 Engagement with cultural and art historical references are evident in Kusaka’s discerning vocabulary of technique and motifs. In turn, her considered take on tradition and contemporary aesthetics is balanced with a utilitarian approach that runs through every work – each one possessing a prospect for use. 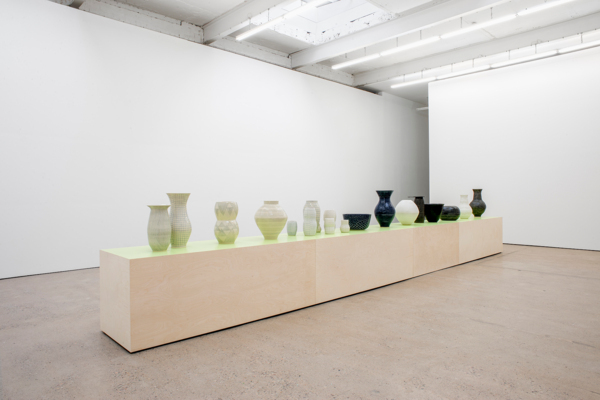 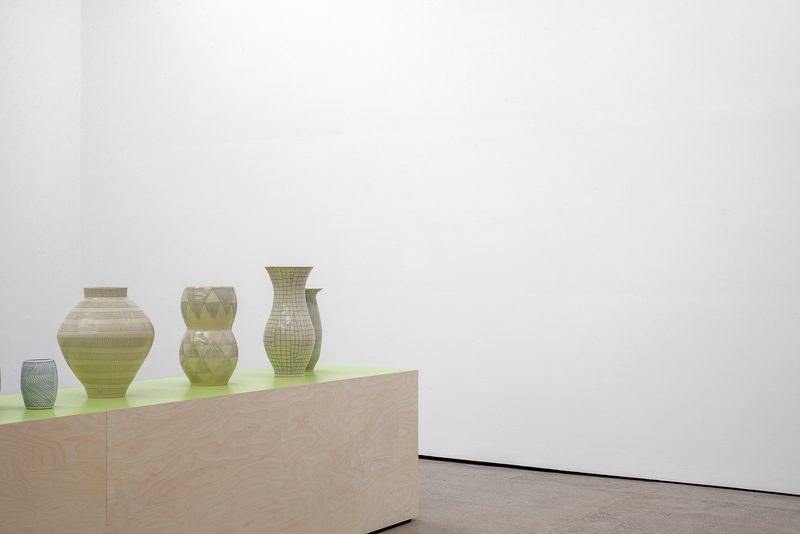 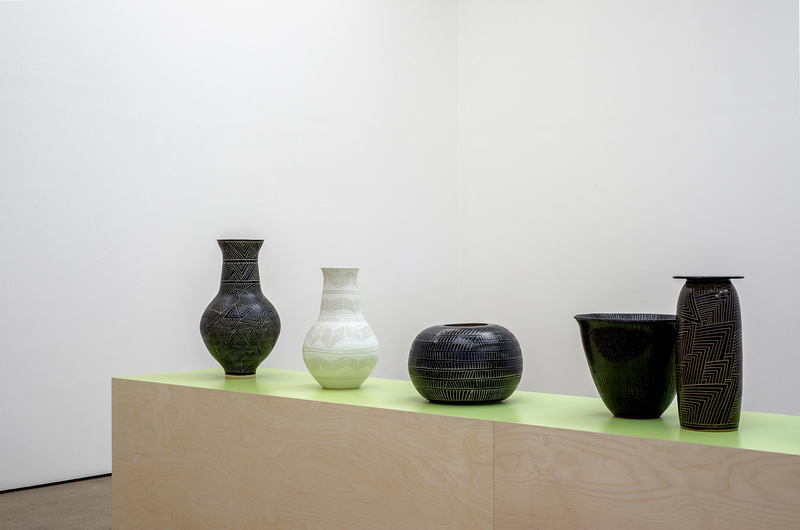 Displayed on a birch plinth running through the gallery’s Aird’s Lane space, the fluid arrangement of the works draws to the relationship within the vessels. Commanding intricate inspection, each pot maintains its place as an individual piece, as the uniting traits create a rhythm and dialogue as a whole.